[SatNews] In the years since the 9-11 attacks, unmanned aircraft—“drones”—have become the signature combat system of America’s global war against terrorists. According to the Air Force, its fleet of Predator and Reaper unmanned aircraft flew an average of 1,000 hours per day last year over places like Iraq and Afghanistan, generating full-motion video and other reconnaissance that has become crucial to coalition military operations. The joint force routinely uses Reaper, a hunter-killer drone, to take out terrorists and insurgents where they hide because of its ability to loiter for many hours above suspected sanctuaries until enemies show themselves. Such exploits have spawned widespread speculation that one day unmanned systems will dominate warfighting, taking the place of traditional combat systems not just in the air but on the ground and beneath the sea. For instance, Navy Secretary Ray Mabus recently told an audience that “unmanned systems, particularly autonomous ones, have to be the new normal in ever-increasing areas.” Mabus believes the F-35C fighter his service is developing will be the last manned fighter to fly off carrier decks. Maybe so, but before the drones take over, there will have to be some big improvements in unmanned-vehicle technology. Craig Whitlock of the Washington Post reported earlier this year that most of the 269 Predator drones the Air Force bought over the last 20 years have crashed, which is a pretty dreadful performance considering the fact that the enemies against which they are used lack air forces or air defenses. And in the process of crashing, Whitlock notes, the drones frequently “are spilling secrets about U.S. military operations.” When a Predator crashes nearby, it’s an unambiguous signal to jihadists they are being watched—one which usually leads them to change tactics. There are plenty of other problems with current military drones. They can’t operate when the weather is bad. They use up vast amounts of scarce bandwidth communicating with their remote pilots and transmitting reconnaissance. Ground crews require specialized training and equipment. And, surprisingly, they sometimes have higher personnel costs than manned alternatives. James Drew reported at InsideDefense.com on March 12 that the Air Force’s Global Hawk surveillance drone has a higher “unit personnel cost” than the manned U-2S spy plane, due to maintenance and other requirements. So the age of unmanned warfare is not yet upon us. In the absence of major refinements, military drones may become less useful in the future as new enemies appear with greater capacity to defend themselves. Many of today’s drones were developed quickly to deal with lightly-armed irregular forces such as the Taliban by exploiting what the military calls “permissive,” meaning uncontested, air space. If the enemy were a well-equipped, state-based military, though, like China’s People’s Liberation Army, the current crop of Pentagon drones would survive about as long as the proverbial snowball in hell. Which brings me to the revolution in drone technology that Lockheed Martin is cooking up at its secretive Skunk Works in the desert north of Los Angeles. Lockheed is a consulting client and longtime contributor to my think tank, so its executives occasionally will share ideas with me that they might be more reticent about sharing with, say, competitors. The most interesting ideas I’ve heard lately are about a generational leap in drone technology that would address all the drawbacks of current systems noted above—and then some. The Skunk Works has a long history with military drones, although you’ll have to get somebody outside the company to give you the details. For instance, most experts believe it built the stealthy RQ-170 Sentinel drone that was circling above Osama bin Laden’s compound on the day U.S. special forces took him out, but the company has never publicly acknowledged its role even though the Air Force disclosed the drone’s existence in 2009. With three million square feet of floor space at its main Palmdale campus, the Skunk Works—officially, the Advanced Development Programs unit of Lockheed—has a lot going on at any given time, but drones have come to be a big part of its business mix. Concerning drones, EVP and General Manager Rob Weiss says, “the Skunk Works is focused on persistent and survivable systems with enhanced sensor performance, and lower manpower requirements.” He goes on to state somewhat cryptically that his team has “proven” it can build such systems. Weiss says that legacy unmanned systems such as Reaper and Global Hawk “are designed to operate in the current permissive airspace environments and they will have limited utility in the future.” So Lockheed Martin is working on systems that will be able to operate effectively in what the Pentagon calls anti-access/area-denial environments—such as the airspace around Russia and China. That implies drone designs incorporating low-observable (stealth) features, low-probability-of-intercept communication links, and advanced software capable of executing complex missions in the absence of continuous control by remote human pilots. But while the drones would have greater autonomy thanks to sophisticated algorithms in their flight controls and mission systems, they could also be integrated more readily with the operations of manned aircraft such as the F-35 fighter. That would be a big departure from today’s practices, where drones are electronically tethered to pilots on the ground and operate in isolation from manned aircraft. Working in tandem with manned aircraft presumably would require drones to have similar performance features. There’s a lot more to the concept than that, though. For instance, drones would be able to “learn” from each other by sharing information after missions, using machine-learning technology not resident in today’s drone fleet. They would have reduced manpower requirements, reduced bandwidth requirements, and performance reliability comparable to that of manned aircraft. In other words, attrition due to crashes would be largely a thing of the past. And rather than performing one or two roles, the next-generation drones would be multi-role airframes capable of conducting diverse reconnaissance, strike, jamming and cyber missions all at the same time. Obviously, unmanned aircraft with so many cutting-edge features have the potential to be costly. However, Skunk Works personnel believe that it is precisely because military budgets will be constrained for the foreseeable future that next-gen drones need to be flexible and versatile. They have some ideas for how that can be achieved while still holding down the cost of each airframe. First of all, the design needs to be a modular, open architecture in which new capabilities can be easily added as threat conditions dictate. Second, the cost of developing and building future drones needs to be shared with trusted allies; if a sufficient number of drones is built in variants customized to the needs of particular countries, then economies of scale would be feasible. That is not the case today, because high-end drones tend to be bought in small lots precluding the efficiencies of serial production. If next-generation drones were constructed in multiple variants for different users the way the F-35 fighter is, and perhaps even in civil versions for non-military users, it would be easier to control costs. So the Lockheed Martin vision of future drones is of long-endurance unmanned aircraft with open architectures and modular designs configured in multiple variants for a networked world. 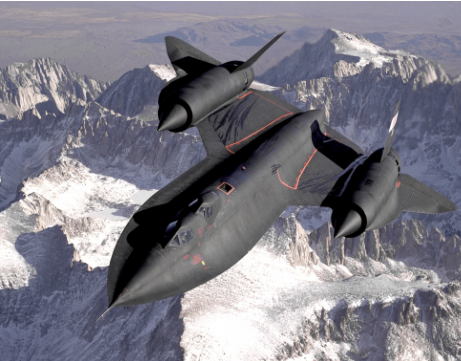 Skunk Works executives say that recent advances in automation, artificial intelligence, bandwidth management and related fields have made this revolutionary leap possible. Without such a leap, unmanned aircraft are destined to remain a niche capability that can’t cope with the adversaries U.S. forces will face in the future.